Thanks for sharing this. 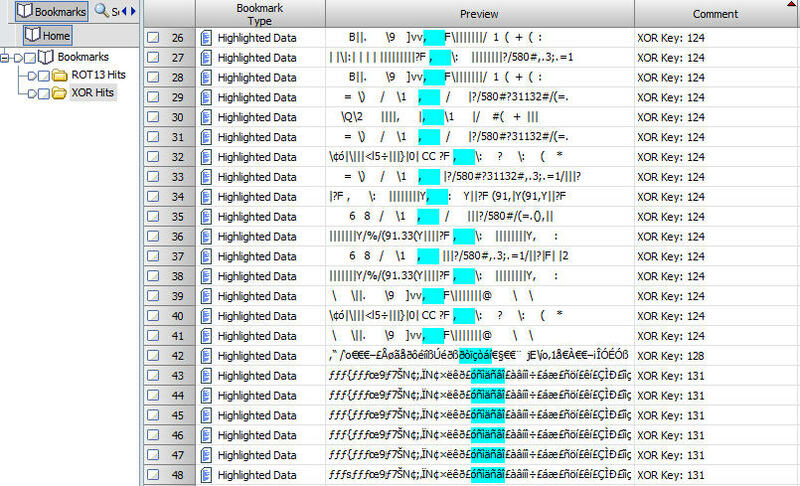 And yes, I agree with your mention of malware using ROT13 and XORing information. It makes static analysis using a debugger or disassembler a bit more difficult, although I'm a big fan of dynamic analysis using either a virtual machine or sandboxed computer. This EnScript works great to find the keyword entered for the XOR feature. But in the comments section of the output under bookmarks it states the XOR key. Unfortunately it seems to be stating the wrong XOR key. 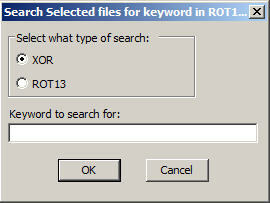 If I run XORSearch.exe against the malicious file it I get the proper XOR key result. So it seems like it is just an issue with the reporting of the XOR key. Also, multiple of the EnScript for multiple keywords will clobber results under bookmarks. So an option to rename the output bookmark folder would be great or automatic rename of output to keyword-XOR or something similar would be great.